An LED display driver is an IC (integrated circuit) offers the circuitry essential in order to interface common microprocessors or digital systems to LED display. Included on an LED display driver may be a multiplex scan circuitry, static display memory and high current segment and digit drivers for displays. Among these two applications, LED Display Driver and IC Market for the lighting applications are estimated to grow with a high CAGR during forecasted period. Display application holds for the largest share of overall LED driver IC market. 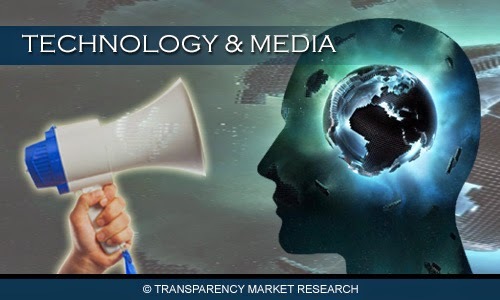 This market research report analyses the LED display driver and lighting IC market on the basis of its types, applications and geographies. There are different types of LED display drivers such as supply voltage, display mode, output current, number of digits, multiplexed display capability and packaging type. LED display drivers are found in a wide range of applications such as Industrial control indicators, Relay drivers, Digital clocks, Instrument panel meters, LED matrix displays, Professional audio equipment, Bar-graph displays, Medical equipment, Dot matrix displays and LED light supplies for smart phones among others. The market for LED display driver and lighting IC market is driven by the rising demand for energy efficient displays and lighting solutions used in applications such as Liquid Crystal Display TV backlights and hybrid cars. Several initiatives are taken by government to phase out demand for radiant bulbs in lieu of power efficient lighting and high quality picture images, provided by LED have increased the usage of LED driver IC in a wide range of applications such as lighting and displays. Various government policies include promotion policies, labeling and certification programs, lighting programs and tax schemes. Countries such as the U.S., UK, Canada, New Zealand, Australia, Taiwan, Brazil, Japan, and Venezuela have taken several steps to replace luminescent bulbs with LED bulbs in order to save power and reduce green house gas emissions. The LED display driver and lighting IC market is expected to witness double digit growth during the forecasted period. Asia-Pacific dominates the LED driver IC market owning to the presence of large numbers of manufacturing plants in countries such as China, Korea, Taiwan and others. LED driver IC market in Asia-Pacific is estimated to grow during forecasted period owning to reduction in costs and increase in consumption of LEDs for several applications in the region. The use of portable devices is increasing such as Smartphone and tablets in Asia-Pacific would also contribute to expected growth. The global LED display driver and lighting IC market is highly fragmented due to presence of big industry players and as well as small companies that are based across the world. Few of the major players for this market include Texas Instruments, ON Semiconductor, National Semiconductor, NXP Semiconductors Nv, Maxim IC, Linear Technology, iWatt, Power Integrators, Infineon Technologies, Advanced Analogic Technologies, Intersil Corporation, Rohm, Silicon Touch Technology, ST Microelectronics, Supertex industries, Macroblock Inc., Austria Microsystems and Fairchild among others.